pertain to disputes considered to be ‘commercial’ under US law. the Convention on the Settlement of Investment Disputes Between States and Nationals of Other States (the ICSID Convention), effective since 14 October 1966. The United States is a party to bilateral investment treaties with 45 other countries, and to a number of bilateral and multilateral free trade agreements (FTAs) containing investor-state dispute settlement (ISDS) mechanisms (eg, the North American Free Trade Agreement (NAFTA)). On 30 September 2018, the United States, Mexico and Canada reached an agreement to replace NAFTA with a new treaty that, when adopted, will significantly alter NAFTA’s ISDS mechanism. The Federal Arbitration Act (FAA), a federal statute, regulates both domestic and international arbitration in the United States. Chapter 1 of the FAA, 9 United States Code (USC) sections 1-16, governs domestic arbitrations between US citizens. The New York and Panama Conventions (codified as Chapters 2 and 3 of the FAA, respectively) apply to ‘foreign’ or ‘international’ arbitrations - that is, where the arbitration is not wholly between citizens of the United States or has some other ‘reasonable relation’ to another New York- or Panama Convention contracting state. The FAA predates the UNCITRAL Model Law and is not based on it. Nonetheless, it similarly supports the principles of party autonomy, the enforcement of arbitration agreements in accordance with their terms and limited judicial review of arbitral awards. There are a few noteworthy differences between the FAA and the UNCITRAL Model Law. In general, the FAA is much less detailed than the UNCITRAL Model Law, leaving various matters of procedure and process to be determined by the parties, the arbitrators or the applicable institutional rules. The two regimes also provide somewhat different grounds for ‘setting aside’ (or vacating) an arbitration award. As another example, whereas the UNCITRAL Model Law does not grant national courts the power to modify or correct arbitral awards, the FAA does grant US courts the ability to do so in certain cases. Courts consider arbitration to be contractual in nature, and thus do not apply mandatory rules to the conduct of arbitration proceedings. US-seated tribunals will generally honour the parties’ choice of law applicable to the merits of a dispute. The FAA does not provide tribunals with any guidance as to which substantive law should apply to the merits of a dispute absent express agreement by the parties, and tribunals may exercise their discretion in this regard. The ICDR is a prominent US-based organisation for international disputes. It respects the choice of the parties with respect to the place of arbitration, the selection of arbitrators and the language or applicable law of the arbitration (as do all of the US arbitration institutions). The ICDR calculates fees based on time spent by the arbitrators. JAMS and the CPR have international rules that likewise respect party choice in these respects. The International Chamber of Commerce (ICC) has an office in New York from which it administers its North American arbitrations. Although the ICC is used frequently by US parties for international arbitration disputes, a discussion of its rules has not been included in this chapter. There are very few restrictions on the types of disputes that can be arbitrated under federal law. Certain intrastate family, consumer and municipal matters may be considered non-arbitrable under state law. The FAA and the New York Convention require arbitration agreements to be made in writing. However, courts interpret this requirement in a commercially practical manner and, in appropriate cases, have enforced arbitration agreements where, for example, the final contract was unsigned or where the agreement to arbitrate was entered into via email. An agreement to arbitrate may be set out in a document other than the contract in dispute, such as where that document is incorporated by reference into the main agreement. Parties may also agree to arbitrate after a dispute has arisen. FAA section 2 permits challenges to arbitration agreements ‘upon such grounds as exist at law or in equity for the revocation of any contract’, such as mistake, lack of capacity, fraudulent inducement, incapacity, rescission and termination of the arbitration agreement. Nonetheless, US policy strongly favours the enforcement of arbitration agreements, and these challenges will be scrutinised closely. Courts respect the principle of ‘separability’, which requires that the arbitration agreement be treated as a distinct agreement that is not rendered invalid, non-existent or ineffective simply because the contract itself may be treated as such. Under state and federal law, third parties or non-signatories may potentially be bound to arbitrate a dispute based on common law contract and agency principles, such as incorporation by reference, assumption, agency, veil-piercing or alter ego, estoppel, succession in interest or assumption by conduct. The law governing the contract (or putative contract) is potentially relevant in such cases, as is the law of the place of incorporation and the law of the arbitral seat. Many institutional rules provide mechanisms for joinder or consolidation of arbitration proceedings; US courts have generally respected these mechanisms. Class arbitration may also be permitted, but only where the parties have expressly manifested their consent to such a procedure (see Stolt-Nielsen v Animalfeeds Int’l Corp, 559 US 662 (2010)). Waiver of class arbitration is also permitted. Consumer contracts that require arbitration but prohibit class arbitration are valid even when the cost of pursuing such claims on an individual basis would be prohibitively expensive, or seem to conflict with US labour protections (Epic Systems v Lewis, 138 S Ct 1612 (2018)); and even when an online user agreement notifies consumers of it simply through a hyperlink (Meyer v Uber Tech Inc, 868 F 3d 66 (Second Circuit, 17 August 2017)). Although state and federal law do not recognise the ‘group of companies’ doctrine, a non-signatory parent, subsidiary or affiliate of a signatory company may be bound to an arbitration agreement pursuant to the applicable law’s principles of agency, contract, estoppel or veil-piercing as discussed in question 11 (Arthur Andersen LLP v Carlisle, 556 US 624 (2009)). Specific terms of the arbitration clause can be important in determining such matters. A multiparty arbitration agreement must meet the same validity requirements as any arbitration agreement - it must be in writing and manifest the parties’ intent to be bound. Courts will generally enforce valid multiparty arbitration agreements. The FAA is silent on arbitrator eligibility. However, state and federal judicial ethics rules and codes of conduct generally prevent sitting judges from serving as arbitrators. State and federal law generally recognise the autonomy of the parties to require that the arbitrators have certain characteristics, and contractually stipulated requirements for arbitrators based on nationality or religion are regularly enforced. It is common for practising US attorneys, retired judges, non-lawyer industry experts and foreign lawyers to serve as arbitrators in US-seated proceedings. There are increasing efforts to improve gender and other types of diversity among arbitrators. The AAA, for example, aims to provide parties with arbitrator lists that are at least one-third diverse. Courts will defer to the applicable institutional rules regarding the appointment of arbitrators. Assuming no such rules apply (or other special circumstances prevent an appointment under such rules), FAA section 5 provides a mechanism by which the parties may request a court appointment of the arbitral tribunal. In such cases, courts are directed to appoint a sole arbitrator absent a contrary agreement by the parties. Courts will defer to the mechanisms provided in the parties’ agreement or applicable institutional rules for challenge or replacement of an arbitrator. Absent such mechanisms, courts disagree as to the proper approach when an arbitrator dies or resigns; although some courts in the Second Circuit have required the arbitration to commence anew (eg, Pemex-Refinacion v Tbilisi Shipping Co Ltd, 2004 WL 1944450 (SDNY 2004)), other circuit courts of appeal have permitted either party to request appointment of a replacement arbitrator under FAA section 5 (eg, WellPoint, Inc v John Hancock Life Ins Co, 576 F 3d 643 (Seventh Circuit 2009)). Courts have found the IBA Guidelines on Conflicts of Interest in International Arbitration to be a persuasive, but not binding, authority (eg, Republic of Argentina v AWG Group, 2016 WL 5928464 (DDC 2016)). The FAA contains no particular requirements and defers to institutional rules and party agreement regarding the relationship between parties and arbitrators, neutrality of arbitrators and their compensation. Although arbitrators are generally required to be neutral and not engage in ex parte communications about the merits of the case, ‘parties can agree to have partisan arbitrators’ (eg, Gambino v Alfonso, 566 Fed Appx 9 (First Circuit, 2014)). Some institutional rules applying solely to domestic arbitrations, such as the JAMS Comprehensive Arbitration Rules and Procedures (the JAMS Rules), and the AAA Commercial Arbitration Rules (the AAA Rules), expressly permit agreements that party-appointed arbitrators may be ‘non-neutral’. However, absent such an agreement, the default under the rules is that party-appointed arbitrators must be neutral. Arbitrators are immune from civil liability for acts undertaken within the scope of their authority pursuant to the common law doctrine of arbitral immunity (eg, Sacks v Dietrich, 663 F 3d 1065 (Ninth Circuit, 2011)). Additionally, a recent federal district court decision (Wartsila N Am, Inc v Int’l Ctr for Dispute Resolution, 2018 US Dist LEXIS 137836 (2018)) created arbitral immunity by applying a judicial immunity standard to the administrative stages prior to the appointment of an arbitration tribunal. According to the court, immunity applies unless the resolution of the arbitrability issue is ‘facially obvious’ and there is a ‘clear absence’ of jurisdiction that is so obvious that it could be resolved before the arbitrators are even empanelled (for additional citation see https://bit.ly/2BpKt6o). Upon a finding that a dispute is properly ‘referable to arbitration’, federal courts are empowered to stay the proceedings before them and to compel the defaulting party to ‘proceed to arbitration in accordance with the terms of the [parties’] agreement’ (9 USC sections 3-4). The existence of a valid arbitration agreement will be determined by the court unless there is ‘clear and unmistakable evidence’ that the parties intended for arbitrators to resolve the question at issue (First Options of Chicago, Inc v Kaplan, 514 US 938 (1995)). Although no strict time limits exist for jurisdictional objections, in some instances, parties may waive their right to enforce an otherwise valid arbitration agreement by waiting too long before filing a motion to compel arbitration. Whether such a waiver has occurred will depend on the length of the delay and the extent to which the party seeking to compel arbitration actively participated in the ongoing litigation. Courts may review the jurisdiction of the arbitral tribunal after the proceedings have commenced, unless there is clear and unmistakable evidence that the parties agreed to submit questions of arbitrability to the arbitrators (First Options of Chicago, Inc v Kaplan). An agreement to abide by institutional rules granting arbitrators authority to rule on their own jurisdiction, such as the AAA Rules, the ICDR Arbitration Rules (the ICDR Rules) and the CPR Rules for Administered Arbitration of International Disputes (the CPR Rules), is generally considered sufficient evidence of consent to ‘arbitrate arbitrability’. 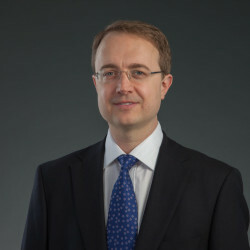 Courts may preclude parties from raising jurisdictional objections if their conduct in the ongoing arbitration indicates a waiver of their right to challenge the arbitrators’ jurisdiction, such as if a party failed to maintain its jurisdictional objection consistently throughout the arbitration proceedings. The FAA does not provide a default mechanism for the determination of the seat or language of the arbitration. Absent agreement by the parties, the language of the proceedings will generally be the same as the language of the contract containing the parties’ arbitration agreement (subject to the tribunal’s overriding discretion) (ICDR Rules, article 18; and CPR Rules, rule 9.5). Many US-based institutions grant the arbitral institution authority to determine the place of arbitration at the outset, which may later be overridden by the tribunal (AAA Rules, rule 11; ICDR Rules, article 17; and CPR Rules, Rule 9.5). The FAA is silent regarding the initiation of arbitration proceedings. Institutional rules contain specific provisions for initiating arbitration; for example, article 2 of the ICDR Rules requires the claimant to serve a copy of the notice of arbitration upon the counterparty (in addition to the ICDR administrator), and provides that the notice of arbitration shall contain a copy of the applicable arbitration clause, a description of the claim and the facts supporting it, and the relief or remedy sought, among other things. The JAMS Rules (article 2), the AAA Rules (rule 4) and the CPR Rules (article 3) provide similar procedures. The FAA contains no specific requirements for hearings, other than requiring tribunals to ‘provide . . . adequate notice, a hearing on the evidence, and an impartial decision by the arbitrator’ (Gold Reserve Inc v Venezuela, 146 F Supp 3d 112 (DDC 2015)). Tribunals may forego in-person hearings where the ‘choice to render a decision based solely on documentary evidence is reasonable, and does not render the proceeding “fundamentally unfair”’ (see In re Arbitration between Griffin Indus and Petrojam, 58 F Supp 2d 212 (SDNY 1999)). Most institutional rules grant wide leeway with respect to the timing and conduct of oral hearings (AAA Rules, Rules 24-25; ICDR Rules, article 25; CPR Rules, Rule 12). In general, tribunals must give the parties reasonable notice prior to hearings, and parties and their counsel have the right to attend them. Tribunals seated in the United States are not bound by the rules of evidence that apply in US litigation (such as the Federal Rules of Evidence), and are free to make procedural decisions to admit and consider the oral or written testimony of fact and expert witnesses, as well as documentary evidence (eg, Kolel Beth Yechiel Mechil of Tartikov, Inc v YLL Irrevocable Tr, 729 F 3d 99 (Second Circuit, 2013)). Generally, the tribunal and the parties have autonomy to structure the taking of evidence as appropriate for the matter, as guided by the applicable institutional rules. For example, articles 20(6) and 22 of the ICDR Rules provide that ‘[t]he tribunal shall determine the admissibility, relevance, materiality, and weight of the evidence’ while ‘tak[ing] into account applicable principles of privilege’ such as the attorney-client privilege under US law. The International Bar Association’s Rules on the Taking of Evidence in International Arbitration are utilised by many US-seated tribunals as guidance. Section 7 of the FAA permits arbitrators to issue subpoenas for witness testimony at the hearing, including by third parties, and to compel the witness to bring documents to the hearing. Upon request, the district court at the seat of the arbitration may compel compliance with arbitral subpoenas, or hold the recalcitrant party in contempt of court. The court, however, must have personal jurisdiction under the law of the state in which the district court is located, and the subpoena must comport with due process under the US Constitution (see Licci v Lebanese Canadian Bank, 673 F 3d 50, 60-61 (Second Circuit, 2012)). As to the territorial scope and timing of section 7 subpoenas, courts have held that section 7 does not allow for subpoenas to testify prior to a hearing (or at deposition). Courts have also expressed doubts as to whether section 7 allows subpoenas significantly beyond the location of the arbitration; the scope and reach of such subpoenas must therefore be carefully considered in every case. 28 USC section 1782 permits district courts to order persons within their territory to provide written or oral testimony, or to produce documents ‘for use in a proceeding in a foreign or international tribunal’. Courts are split as to whether this provision allows a party to seek discovery in aid of international commercial arbitration, and careful attention must be paid to the specific court precedents in the applicable jurisdiction. The FAA is silent with respect to confidentiality, and courts do not impose an automatic duty of confidentiality in arbitration. They will, however, endeavour to uphold any specific agreement by the parties (or in the arbitral rules) to keep their arbitration confidential. Leading arbitral rules vary in the level of confidentiality they require. Parties to a confidential arbitration who seek enforcement of an arbitral award in US courts should be aware of the risk that their arbitration award will become public unless they obtain a specific ‘sealing order’ from the court prior to filing. Several cases have held that the FAA permits courts to grant interim relief pending arbitration and in aid of an ongoing arbitration (eg, Braintree Laboratories v Citigroup Global Markets, 622 F 3d 36 (First Circuit, 2010)). In limited circumstances, courts may also issue anti-suit injunctions prohibiting parties from pursuing foreign lawsuits in breach of an arbitration agreement. These orders are often provisional, and only apply until a fully constituted tribunal has the chance to revisit the request for interim relief. The AAA was the first institution to include the modern day version of the ‘emergency arbitrator’ in its institutional rules (Rule 38), and this approach has been followed by the ICDR, the CPR and JAMS (ICDR Rules, article 6; CPR Rules, Rule 14; and JAMS Rules, article 3), though the speed of each institution’s process varies. Under the rules of US-based institutions, tribunals exercise broad discretion in ordering interim measures deemed to be necessary, such as preliminary injunctions and measures to protect or conserve property (AAA Rules, Rule 37; ICDR Rules, article 24; CPR Rules, Rule 13; and JAMS Rules, article 32). The law recognises the right of arbitrators to issue partial or interim awards prior to the final award. Courts consider such awards to be ‘final’ and enforceable as long as they ‘finally and definitely dispose’ of at least one claim in the arbitration (even if other claims remain to be heard) (Ecopetrol v Offshore Exploration and Production, 46 F Supp 3d 327 (SDNY 2014)). Courts will generally respect an arbitral tribunal’s interim awards, including for security for costs. Tribunals have ‘inherent authority to police the arbitration process and fashion appropriate remedies to effectuate this authority’ (eg, Hamstein Cumberland Music Group v Estate of Williams, 2014 WL 3227536 (Fifth Circuit, 2013)). Some US institutions grant arbitrators express authority to impose sanctions for party misconduct, which may include fines, adverse inferences, withdrawing or revising a prior award, and awards of costs and attorney’s fees (AAA Rules, Rule 58; ICDR Rules, article 20(7); and JAMS Rules, article 33). Other institutional rules are silent on sanctions, but allow arbitrators to award costs and fees in order to compensate a party for misconduct in the arbitration proceedings (CPR Rules, Rule 19.2). Although the FAA is silent regarding whether a majority or unanimous vote is required when the tribunal consists of more than one arbitrator, US-based institutions provide that awards or other decisions by the tribunal shall be made by a majority of the arbitrators (AAA Rules, Rule 46; ICDR Rules, article 29; CPR Rules, Rule 15; and JAMS Rules, article 34.2)). Dissenting opinions are not legally binding and do not impact the award’s enforceability (eg, In re Arbitration Between Associates Transport Line v Slebent Shipping Co, 2004 WL 2093521 (SDNY 2004)). The FAA does not expressly prescribe any formal requirements for awards. Unlike many national arbitration statutes, the FAA does not require ‘reasoned awards’ explaining the basis for the tribunal’s decision, and courts will uphold and enforce unreasoned awards so long as the parties’ agreement or applicable institutional rules do not require a reasoned award (eg, D H Blair & Co v Gottdiener, 462 F 3d 843, 847 (Second Circuit, 2006)). Many institutional rules do require reasoned awards absent contrary agreement by the parties (ICDR Rules, article 30(1); CPR Rules, Rule 15.2; and JAMS Rules, article 35.2). Rule 46 of the AAA Rules, however, disposes of any reasoned award requirement unless requested by the parties in writing prior to the formation of the tribunal, or if the arbitrator determines that one is appropriate. The FAA does not impose any time limits for the tribunal to render an award. The AAA and ICDR Rules require the tribunal to issue its final award within 30 and 60 days of the date of the closing of the hearing, respectively (AAA Rules, Rule 45; and ICDR Rules, article 30(1)). The limitations period for parties to confirm ‘foreign awards’ falling under the New York or Panama Conventions is three years, and for parties to confirm domestic awards is one year (see FAA sections 9, 207 and 302). The limitations period for confirming an award, whether foreign or domestic, begins running on the date that the award ‘is made’ (the date of the award itself). FAA section 12 requires that petitions to vacate, modify or correct an award be filed within three months ‘after the award is filed or delivered’. This three-month time limit has been applied to the vacatur of international awards seated in the United States. As discussed in question 31, the tribunal enjoys broad discretion to issue interim or partial relief. If the parties reach a settlement during the pendency of the arbitration proceedings, institutional rules permit the arbitration to terminate with the issuance of a final and binding consent award. Such consent awards are often recognised and enforced by US courts. If a party fails to appear in the arbitration, most institutional rules, such as article 26 of the ICDR Rules, permit the tribunal to issue an award, but only after hearing evidence from the party seeking relief and providing the defaulting party with notice and an opportunity to participate. Article 32(3) of the ICDR Rules further allows the tribunal to terminate the proceedings if their continuation ‘becomes unnecessary or impossible’. In some circumstances, proceedings may be terminated or suspended if the parties default on payment of arbitrator fees or costs. When this happens, courts have occasionally permitted the defaulting party that was ‘unable to pay for [its] share of arbitration’ to pursue its claims in litigation; this accommodation is not afforded, however, where a party has ‘refuse[d] to arbitrate by choosing not to pay for arbitration’ despite having the resources to do so (Tillman v Tillman, 825 F 3d 1069 (Ninth Circuit, 2016)). Absent express agreement by the parties, arbitrators have broad discretion with respect to the allocation of costs and fees, including administrative costs and attorneys’ fees (AAA Rules, Rule 47(c); ICDR Rules, article 34; CPR Rules, Rule 19; and JAMS Rules, article 37.4). Awards of costs and fees constitute part of the award and are enforceable in US courts. Generally, contractual agreements for any ‘fee-shifting’ (including agreements that the prevailing party may recover its attorneys’ fees and costs) will be respected. Institutional rules permit arbitrators to award pre- or post-award interest at a rate they deem appropriate (AAA Rules, Rule 47(d)(i); ICDR Rules, article 31(4); CPR Rules, Rule 10.6; and JAMS Rules, article 35.7). US courts will generally confirm and enforce such awards. Most institutional rules grant tribunals a limited amount of time to correct or interpret minor clerical, typographical or computational errors (ICDR Rules, article 33; CPR Rules, Rule 15.6; and JAMS Rules, article 38.1). The ICDR and CPR Rules further grant arbitrators a short period in which to make an ‘additional award’ on claims presented in the arbitration but not disposed of in the initial award. FAA section 11 vests district courts with the power to ‘modify or correct’ the award where it contained a material miscalculation or mistake, where it ruled upon a matter outside of the tribunal’s jurisdiction or where it ‘is imperfect in matter of form not affecting the merits of the controversy’. Nonetheless, courts may refuse to do so on the basis that the arbitrators already considered, and declined, such a request (eg, Daebo Int’l Shipping Co v Americas Bulk Transport (BVI) Ltd, 2013 WL 2149591 (SDNY 2013)). the arbitrators exceeded their powers, or so imperfectly executed them that a mutual, final and definite award upon the subject matter submitted was not made. Some courts have interpreted the arbitrators’ ‘excess of powers’ to permit vacatur on the basis that the tribunal acted in ‘manifest disregard of the law’. In recent years, this standard has been considerably limited by many circuit courts of appeals, and it is rare for awards to be vacated on this basis (see, eg, Daesang Corporation v NutraSweet Company, 85 NYS 3d 6 (2018) (reversing the trial court’s vacatur of a foreign arbitral award on the grounds of manifest disregard of the law)). Normally, arbitral awards themselves are not subject to appeal on the merits by courts or arbitral institutions. Nevertheless, parties to AAA, CPR, or JAMS arbitrations may opt in to those institutions’ appeal procedures. However, court orders with respect to confirmation, vacatur or recognition and enforcement of awards are subject to the normal appeal procedures of US litigation. Parties wishing to challenge a final federal district court order can appeal to the federal circuit court of appeals in which the district court sits. In general, the circuit courts of appeals have the final word on the matters before them; in rare cases, the Supreme Court may grant a request to review a circuit court decision. Courts generally uphold arbitration awards in line with the United States’ strong public policy in favour of arbitration. Awards made by US-seated tribunals may be recognised and enforced (ie, confirmed) by any court agreed upon by the parties or, in the absence of such agreement, by a court sitting in the district in which the arbitration agreement was made, provided no ground for vacatur or modification exists under sections 10 or 11 of the FAA. For foreign-seated arbitrations, the FAA incorporates the grounds for denial of recognition and enforcement of awards set forth in the New York and Panama Conventions (FAA sections 207 and 301). In limited circumstances, the United States may also permit denial of recognition or enforcement of a foreign award on the basis of certain procedural defences, such as the court’s lack of personal jurisdiction over the award debtor, or the doctrine of forum non conveniens. A petition to confirm a domestic arbitral award ‘may’ be filed within one year from the date of the award (9 USC section 9). Whether this limitation is mandatory depends on the court in which it is brought (see FIA Card Servs, NA v Gachiengu, 571 F Supp 2d 799, 803-804 (SD Tex 2008)). For foreign awards, a petition to confirm must be filed within three years (9 USC sections 207 and 302). The FAA provides a three-month limit for motions to vacate, modify or correct an award (9 USC section 12). Citing concerns for international comity, US courts usually do not enforce foreign awards set aside by the courts at the place of arbitration (eg, Getma Int’l v Republic of Guinea, 862 F 3d 45 (DCC 2017); and Thai-Lao Lignite (Thailand) Co v Gov’t of Lao People’s Democratic Republic, 864 F 3d 172 (Second Circuit, 2017)). However, several courts have held that they may enforce an award despite vacatur by the courts of the seat in ‘extraordinary circumstances’. For instance, one recent decision upheld the enforcement of an award that had been vacated in Mexico on the basis of newly enacted legislation that had been applied retroactively by the Mexican courts, stating that to hold otherwise would be ‘repugnant to fundamental notions of what is decent and just in this country’ (Commisa v Pemex, 832 F 3d 92 (Second Circuit, 2016)). The enforceability of awards issued by emergency arbitrators is somewhat uncertain. Although courts have enforced emergency awards on a number of occasions, some courts have refused to enforce them on the basis that they are not ‘final’ and therefore not reviewable under the FAA (compare Yahoo! Inc v Microsoft Corp, 983 F Supp 2d 310, 319 (SDNY 2013) (enforcing an emergency award) with Chinmax Medical Sys, Inc v Alere San Diego, Inc, 2011 WL 2135350 (SD Cal 2011) (refusing to enforce an emergency award)). In general, each party bears its own costs and fees in connection with post-award litigation pursuant to the ‘American Rule’. US court fees are quite minimal; the bulk of a party’s costs for enforcement will be attorneys’ fees, which will generally be borne by the enforcing party absent agreement to the contrary. As noted in question 39, however, the position may be different if the parties contractually agree to fee shifting in post-award proceedings, or if a party opposes confirmation or enforcement on a ground deemed to be frivolous (in which case fees may be awarded as a sanction). The scope of mandatory disclosure or ‘discovery’ is an important difference between judicial and arbitral proceedings in the United States. In US litigation, the Federal Rules of Civil Procedure and corresponding state practice rules allow parties to obtain wide-ranging discovery of documents or information that may be relevant to any claim or defence in the litigation. Disclosure in international arbitration is generally much less burdensome than discovery in US litigation, and it is relatively unusual for an international tribunal to permit multiple depositions or the type of broad-ranging document discovery contemplated by the Federal Rules. Attorneys practising in the United States, including in international arbitrations, are bound by the rules of professional conduct of the state bars to which they are admitted. American Bar Association Model rule 5.5, which has been implemented in many US jurisdictions (including New York), permits lawyers admitted in one US state to represent clients in arbitration proceedings seated in another US state; however, it is silent on the ability of lawyers admitted abroad to represent clients in US-seated arbitrations. Third-party litigation funding has become increasingly common in the United States, including in arbitration. Parties exploring third-party funding options should be attuned to relevant state laws, such as laws directly regulating funders, the common law doctrines of maintenance, champerty, barratry and attorney ethics rules. Foreign parties, non-US counsel or arbitrators involved in an international arbitration seated in the United States should consult with local counsel well in advance of the arbitration to ensure compliance with federal visa requirements. President Donald Trump has significantly changed US policy towards FTAs. Many of these FTAs contain ISDS mechanisms providing for arbitration of disputes between investors and host countries, in addition to the general reduction of trade barriers. On his first day in office, President Trump withdrew the United States from the negotiations of the Trans-Pacific Partnership, an FTA that would have been the world’s largest, and declared an end to the era of multinational trade agreements. The United States, Canada and Mexico subsequently renegotiated NAFTA, and plan to replace it with the United States-Mexico-Canada Agreement (USMCA). Once adopted by the parties, the USMCA will significantly reduce the scope of ISDS between them. Essentially, the USMCA ends the availability of ISDS between Canada and the United States. As between Mexico and the United States, most claimant investors from the United States and Mexico may only challenge measures in breach of national treatment, most-favoured nation treatment and expropriation, excluding indirect expropriation. The USMCA imposes a four-year statute of limitations on claims, and requires litigation in local courts first, until disposed of by the court of last resort, or 30 months have elapsed, whichever comes first. Canadian, US and Mexican investors may still file arbitration claims related to legacy investments within three years after the termination of NAFTA. Draper & Draper offers clients an unparalleled combination of litigation and arbitration expertise with a focus on natural resources and commercial disputes. John Draper, a leading interstate water disputes practitioner, has a nationwide water disputes and advisory practice.